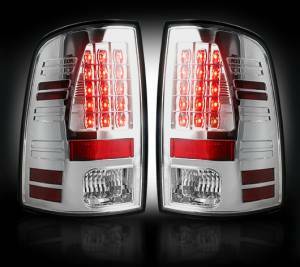 Factory LED Tail light Replacements by Recon. 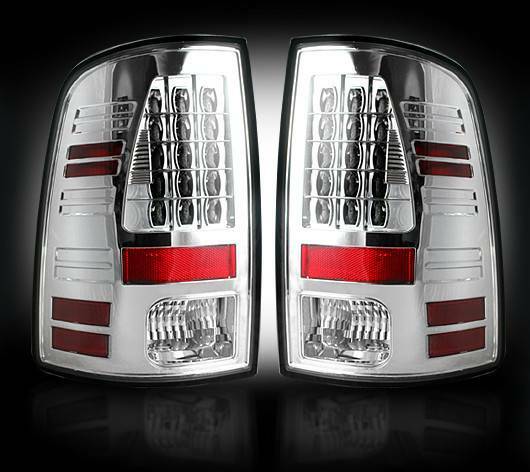 Tail Lights are available in Smoked, Clear, Red, and Red Smoked lenses and all feature LED brake lights, a unique style, and unmatched quality. 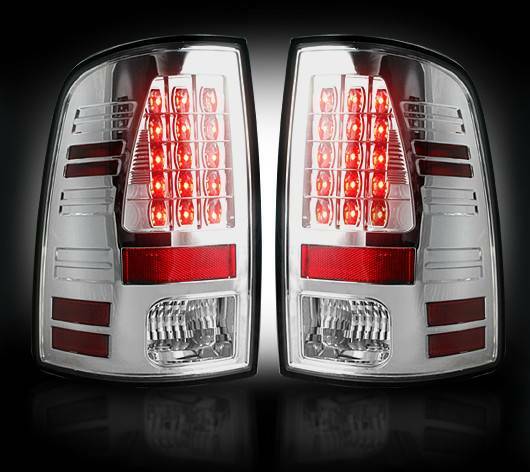 With the impressive style of these tail lights, LED Reverse Bulbs make the perfect Upgrade. This part number fits 2013-2014 DODGE RAMS With Factory Installed LED Taillights. This set of LED taillights does not come with LED reverse light bulbs. If you want white LED reverse light bulbs, please order a quantity of 1 set of part # 264202WH as they are sold as a pair.